You may have heard of the cliché “new year — new me.” That's good and all, however, although you might be hoping to fulfill your New Year’s resolution this doesn't exactly apply to Michigan’s real estate market. Experts forecast the 2019 housing market in East and West Michigan will resemble that of last year’s housing market. "Ole Man Winter" is being blamed for putting “a freeze” on housing sales across Michigan, as sales dropped by 18% in December from the previous month and 10% from the same month a year ago. Nevertheless, while winter has chilled volumes, low inventories heated prices to record levels. That said, Washtenaw County saw fewer home sales and higher prices in 2018 than the year before. In 2018, 3,530 single-family homes sold in Washtenaw County at an average price of $321,737, according to a new report from the Ann Arbor Area Board of Realtors. That's a 6% decrease in the number of homes sold and 6% increase in the average sales price compared to 2017. The Board of Realtors noted that home prices are expected to grow by 4.8% in 2019 and interest rates are also expected to rise, according to research from CoreLogic's Home Price Index. Ann Arbor is the one of most expensive areas to live in Michigan, which has an average sales price of $438,492 for single-family homes. Furthermore, Saline had an average home sales price of $404,888, and Dexter's average was $394,380 in 2018. Ypsilanti and Manchester saw the most drastic increases in average single-family home sales price. Both areas saw average home sales prices rise by 62% from 2013-2018. These two locations have become a more desirable place to live, plus the lack of affordable housing in other parts of the state has sent more homeowners here. Despite seeing such a steep increase in home prices in recent years, Ypsilanti remains one of the most affordable areas in Michigan with an average single-family sales price of $187,798 in 2018. Michigan’s second-largest city, Grand Rapids, is set to lead the country in capital gains in 2019. Grand Rapids remains one of the hottest cities in Michigan’s real estate market and has been receiving a great deal of attention. Grand Rapids is one of the “Top 5 Housing Markets to Watch in 2019" and Realtor.com has ranked the Grand Rapids housing market second on its list of the “Hottest Zip Codes in America." Grand Rapids home values also show how hot this market is. They have gone up 13.1% over the past year and is predicted that they will rise another 4% in 2019. According to HousingWire, a source for information on housing and mortgage lending, homes in Grand Rapids are on average going under contract in 13 days, picking up from 15 days last year. As a result, homes are not staying on the market very long. Metro Detroit's median home sales price was $175,000 last month, a 3% uptick from $170,000 in December 2017, according to December market data from Farmington Hills-based Realcomp Ltd. II. Sellers listed 12,347 homes last month, an 8.4% drop year-over-year. Detroit home prices continue to rocket upward with the median sales price rising 30% in December reaching $39,000. Over 4,500 sales were closed in all of 2018 in Detroit — a 5.4% increase from 2017, according to Realcomp's year-end data. Some counties in Metro Detroit saw a decrease in total sales over the past year. Oakland County's total sales fell 5.8%, Macomb down 5% and Wayne down 1.7%. We predict more stability, but not huge fluctuations in 2019. 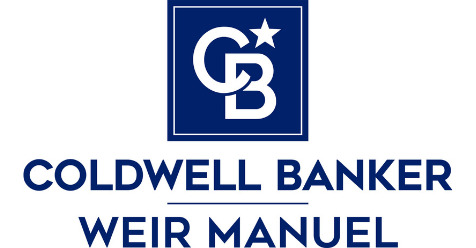 I hope this January 2019 CBWM Real Estate Update helps you and if you’re looking to buy a home this year simply CLICK HERE to search homes for sale in your neck of the woods! Don't see your community? Click here.